Domestic Central Heating Market 2016 Report from MTW Research for space heating and water heating market size and trends for radiators, boilers, heat pumps market and heating controls. MTW Research have published a brand new UK Domestic Central Heating Market Report Research & Analysis providing a fresh, comprehensive review of this market in 2016 based on actual sales data and intelligent qualitative research and comment. This unique report reviews the domestic heating market by volume and value and is the only quantitative and qualitative report written in a consultative format available for less than £600. Written specifically for heating manufacturers & distributors, the Domestic Central Heating Market Report enhances long term business & marketing plans, identifies ‘quick wins’, provides instant sales leads & offers excellent value for money. An optional 11,000 builders & plumbers merchants mailing, telemarketing & email list is also available. Unique in that it is based on both quantitative data and qualitative research, this comprehensive 280+ page market report and optional merchants mailing & email list is now available in a variety of formats for incorporating into reports and sharing with colleagues. Combining quantitative industry sales data supported by qualitative research & intelligent comment, this first edition report identifies and reviews key market trends, product mix, distribution channel share, key players’ profiles, ranking & future prospects. Researched by experienced marketing professionals & published in H1 2016, this informative report offers a comprehensive market review, sales leads & represents excellent value for money. Key Influences - Energy Related Products Directive ErP (EcoDesign, Energy Labelling); Internet of Things in Central Heating; RHI (Renewable Heat Incentive), ECO1, ECO2, Green Deal; Self Build Market; Housebuilding Market; Macro Economic Issues etc. Analyses the current trends & forecasts for the UK Domestic Central Heating market - Volume & Value. Reviews Domestic Central Heating size & market trends by key product, identifies key growth areas. 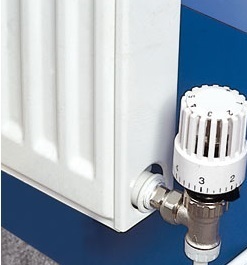 Domestic Central Heating Market segmentation by Fuel, Penetration, End Use Customer, Application and other KPIs. 1 Page profile for 140+ Domestic Central Heating Manufacturers & Distributors with turnover & profit estimates for every company - unique to MTW. 100+ Builders Merchants ranked by turnover, profit, assets, net worth etc. Influences – Impact of RHI (Domestic Renewable Heat Incentive), ErP (Energy Related Products Directive), ECO & Green Deal, UK IoT Internet of Things Market, DIoT (Domestic Internet of Things, DIoT in Central Heating etc. Heating Manufacturers – 3 yr financials, ‘at a glance’ chart, turnover, profit etc. Quantitative Market Data - The foundations of all our reports are based on sales from as representative a sample of the industry as possible. We have invested heavily in order to ascertain financial sales data from companies involved in the market and ensure our methodologies are as robust as possible. The sales data and financial profiles from more than 140 Heating Manufacturers & Distributors are included in this report, reflecting more than 80% of the market in 2016. No other 'off the shelf' report available combines such a high level of qualitative comment based on such firm statistical confidence.